I’ve given up the battle (for the time being anyway) to keep the dining table for dining – it is now the drawing/ craft/ homework table. It accommodates all four kids, they can leave stuff they’re working on and come back to it later and, most importantly, they’re busy in a communal family space so that I’m there to help them out if needed (and keep an eye on what’s happening on iPads!). Because of this arrangement, and also because one day I plan to reclaim my dining room table for dinner parties, ‘family desks’ always grab my attention. I fell in love with the concept piece by Tim Durfee and Iris Anna Regn that we featured last year – the Growth Table (below). 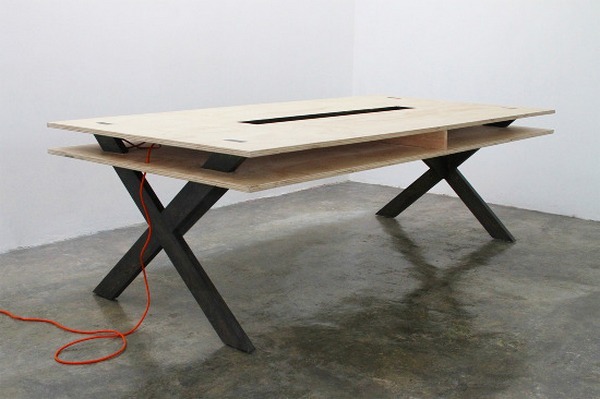 Now, with my kids now growing up (and with an ever increasing number of devices being used for homework), the Work Table 002 by Miguel de la Garza caught my eye. 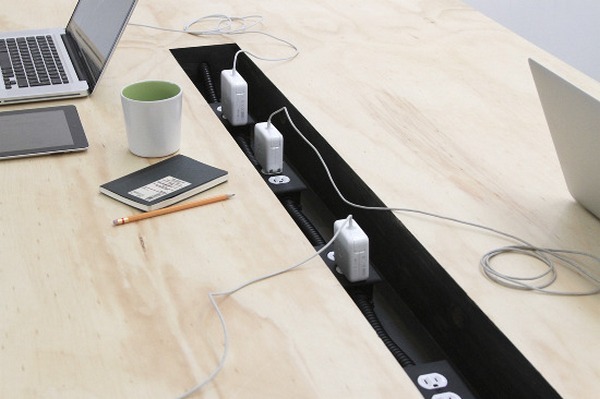 With a tech focus, the table was designed as a workspace for up to six people to use at the same time, and all can be ‘plugged in’ and connected thanks to the eight sockets concealed in a channel that runs down the centre of the table. 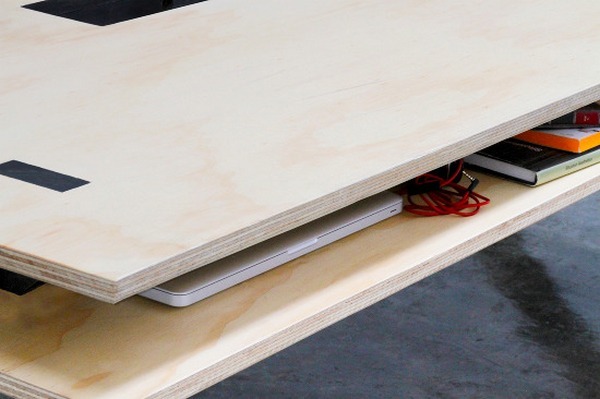 A second layer is built underneath the tabletop for storage. It’s a brilliant idea, particularly given the importance of children being cyber-safe and online in communal spaces where activity can be easily monitored. 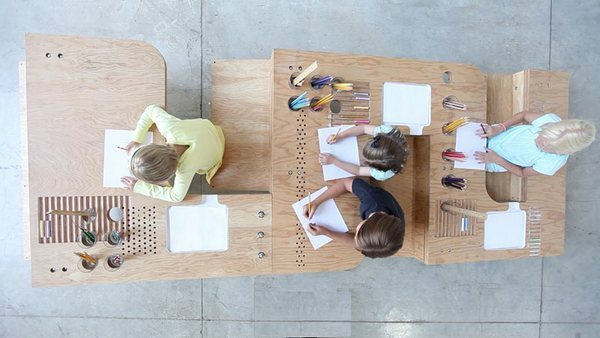 Like the Growth Table, the Work Table 002 is a concept piece and not available in Australia, although both certainly provide inspiration for managing the family workspace.